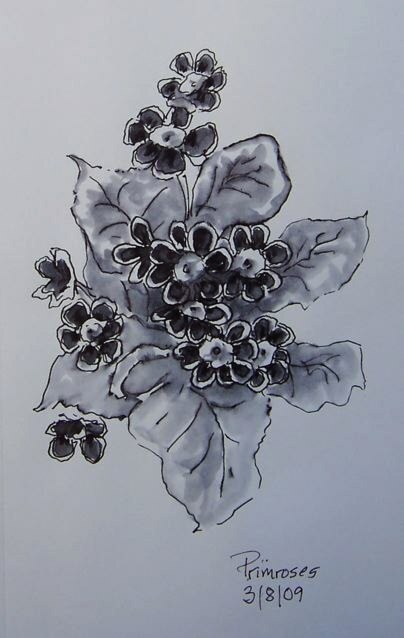 The drawing above is of Primroses (Primula polyantha) called Golden Lace. 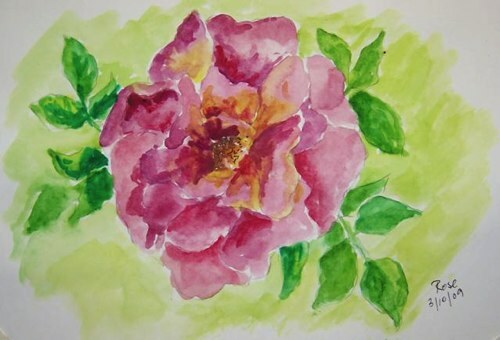 The center of each flower is bright yellow, the petals a deep reddish purple trimmed with white. The colors are so great, I may have to do this one in watercolor.